By means of this tutorial you will learn to create lettering for a signage for bait shop. Create a background layer and fill it with a colour. 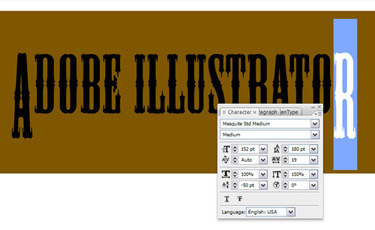 Select the Type tool and use the font shown below. Select the A and R. then make the desired changes to the vertical scale and baseline shift. Curve the text using Warp Options with an Arch of 32%. Use Expand Appearance to make it permanent. Use Alt+Drag to make a copy of the text. Select the Appearance Palette. Then click on Stroke and apply 10 pt Round brush to the lettering. Create a duplicate of it and choose the dark version. Go to the Appearance palette and double-click on the stroke. Modify the diameter of the stroke to 2 pt and change the colour to white. Pull the other lettering down to adjust its placement. 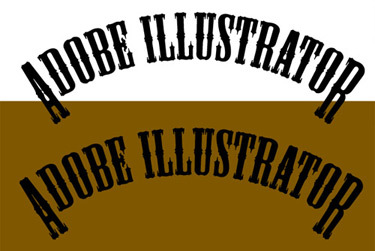 In a slightly different colour create a stroke of 2 pt for the lettering. Select the fourth lettering and apply the Scribble Options using the following settings. 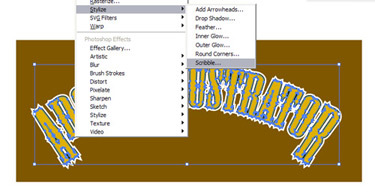 Use Alt+drag and create a second set of lettering. Place it a bit off the centre. Choose both the letterings and navigate to the Pathfinder and select Subtract from shape area. Move the image into place and change the transparency status to Screen. Using Select Next Item Below, select the third item down from the top twice. Change transparency type to Difference. The final image is ready.